Finding ready to go low carb desserts, treats and snacks isn’t always the easiest thing to do! You can’t always run out to your local grocery store like you can to get carb filled desserts and foods. Fortunately you CAN kick your sugar habits when switching to a lower carb lifestyle with these low carb desserts to buy from an online store. Fortunately the internet makes it a piece of cake to find store bought low carb desserts for those times we simply don’t want to make it ourselves. Some of these are so gorgeous, you just won’t believe you can buy them pre-made online! 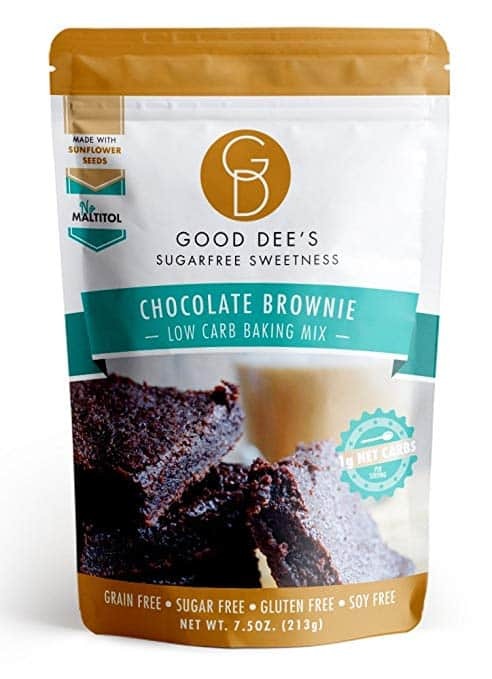 Here’s a list of 20 highly rated gluten free, sugar free and low carb desserts and store bought low carb candies to buy to have on hand at home for those times you want to satisfy that sweet tooth without cooking. These yummy store bought keto dessert ideas also make it easier to stick to your ketogenic plan during the holidays and around special occasions. 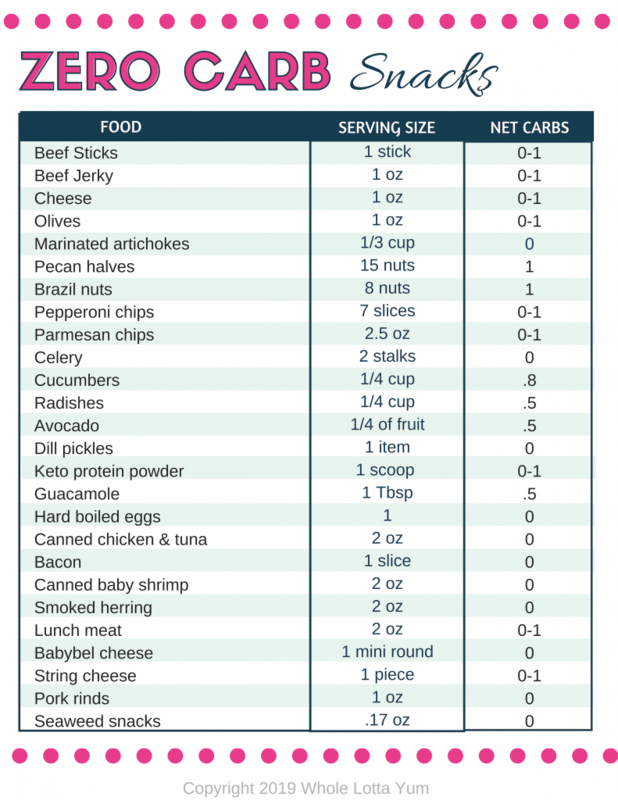 NOTE: Low carb desserts, sweets and candy still has it’s place on something like a ketogenic diet, but please eat sparingly since they still have more carbs than eating parmesan crackers or a whole foods snack would be. These can all be purchased online yet we’ve also included some brands you should be able to find at national stores. The lowest carb sweeteners also use erythritol or stevia, these also have the lowest glycemic impact when you consume them. The sugar free, low carb and gluten free candy on our list varies with the type of sweetener used, but includes erythiritol, stevia, Maltitol and xylitol. We’ll let you decide which ones of these work best for your specific health needs, depending on if you’re looking for low carb candy, gluten free, or sugar free desserts and sweet treats to purchase. For a ketogenic diet, you’ll sugar alcohol from the carbohydrate count since it has minimal impact on blood sugar levels. 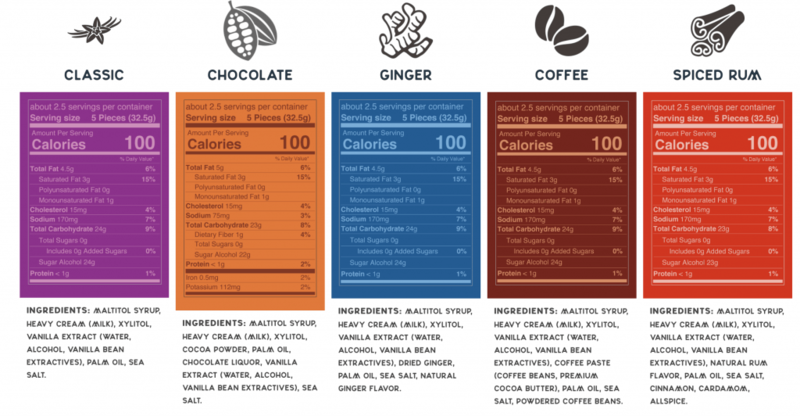 For example, if something says 12 carbs but then shows 12 grams of sugar alcohol, the net carbs is ZERO. 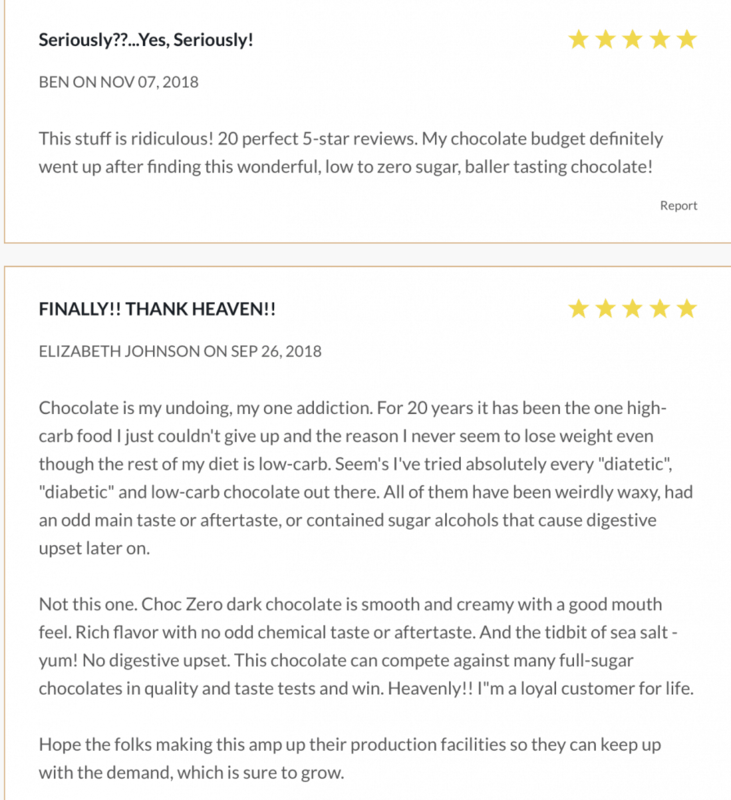 If the store bought keto desserts don’t readily give you the nutritional information, make sure to read the reviews since the companies have answered many customer questions in that section. Where Can You Find Low Carb Desserts to Buy? Thrive Market– The online healthy food market that often BEATS Amazon prices. You can get 25% off your first purchase with my coupon link. Here’s our collection of 14 amazing low carb desserts to buy, whether you’re in the mood for chocolate cake, peanut butter, cookies, bark, candy, truffles or cheesecake, we have you covered! These yummy cinnamon quick cooking mug cakes make the perfect low carb store bought dessert when you want something quick but that resembles homemade. These are a top seller and can be purchased in either cinnamon flavored or chocolate. Keep them away from the kids haha! 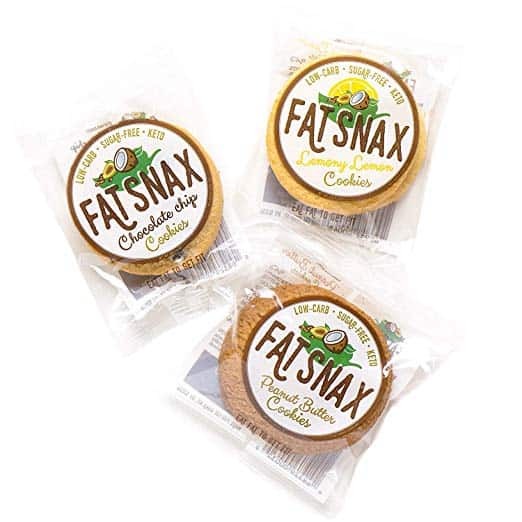 Fat Snaxs are the most popular store bought low carb desserts you can find online! The reason they’re so popular is because it’s a store bought low carb dessert that doesn’t taste like it’s low carb. That makes Fat Snaxs a winner for sure! 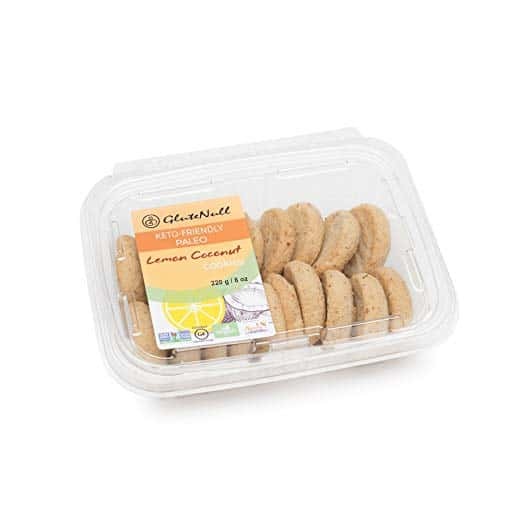 Fat Snax Cookies come in either chocolate chip cookies, lemony lemon cookies, peanut butter cookies, ginger turmeric cookies, or you can get an awesome variety pack so you can try them all. 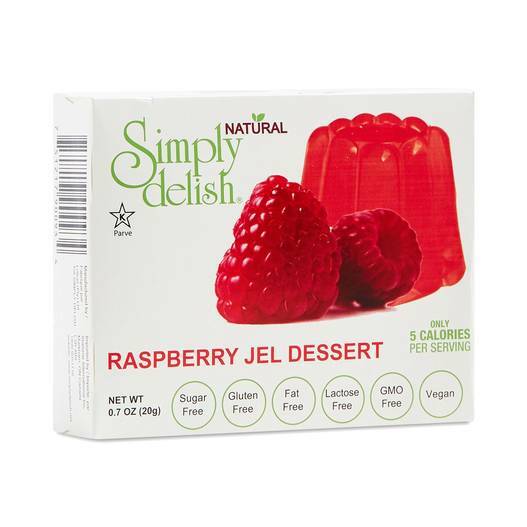 While you definitely could go to the store and buy sugar free Jello, if you’d prefer a healthier option than you’ll surely want to consider this healthier option by Raspberry Jell Delicious. You can find it at Thrive Market, don’t forget to use our coupon code so you can get 25% off your first purchase! These are a brand new item for purchase you’ll love to have when you need extra fat, and want it a little sweet too. Keto Squared makes two amazing kinds of store bought fat bombs: Macadamia Creme or Chocolate Dream. These are considered one of the brand new #1 release items! 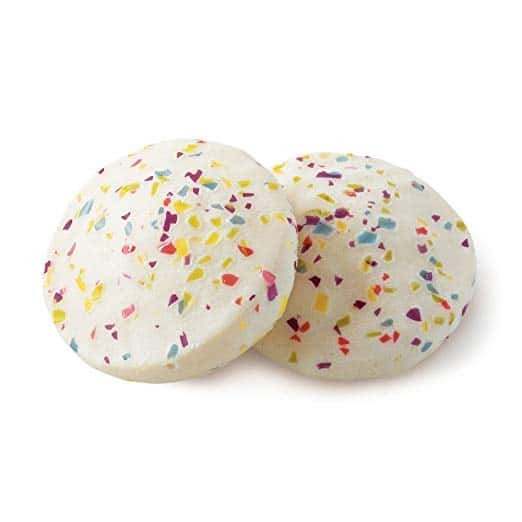 Some claim it’s the BEST low carb and ketogenic snack on the market, since the macros are perfect and 2-3 of these gems count as a meal replacement too. I still call them a low carb dessert you can buy, and they’re probably one of the healthiest low carb desserts you can find! You can whip up delicious these low carb golden coconut mini cakes in only 90 seconds! The mini cakes are a perfect dessert for two and only have 3 net carbs each. Let’s face it, we’re all super busy, but sometimes having a semi homemade low carb dessert hits the spot. 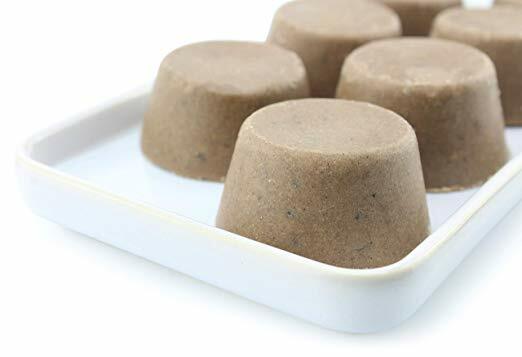 What I love about these microwave mini cakes is you’d never know they were low carb desserts to buy and that makes it a great dessert to share or serve to guests too. 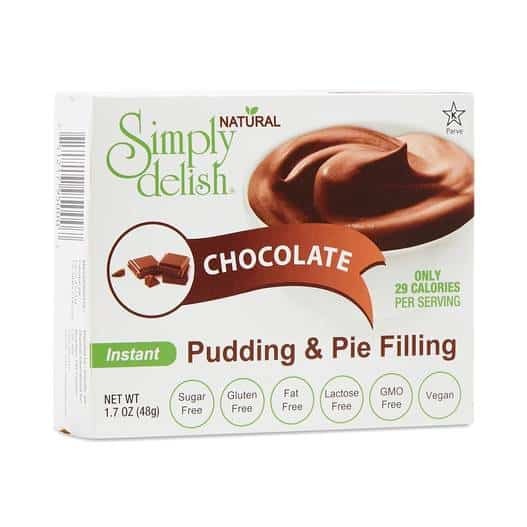 Another highly rated low carb store bought dessert is the Simply Delish pudding, that is manufactured by the same company as the amazing Jello alternative. This low carb pudding has less than 5 net carbs per serving and can be whipped up in only 2 minutes. And again, while you can simply go buy sugar free Jello brand pudding, this is an alternative for people looking for packaged products that are as healthy as possible or that are trying to avoid certain ingredients. These highly rated low carb birthday cake bars let you eat that cake without the all that sugar. 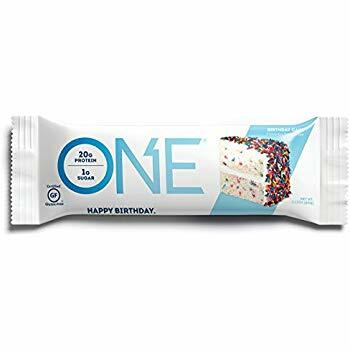 While these are definitely a snack bar and do not have a cake consistency, the reviews say they taste exactly like birthday cake! 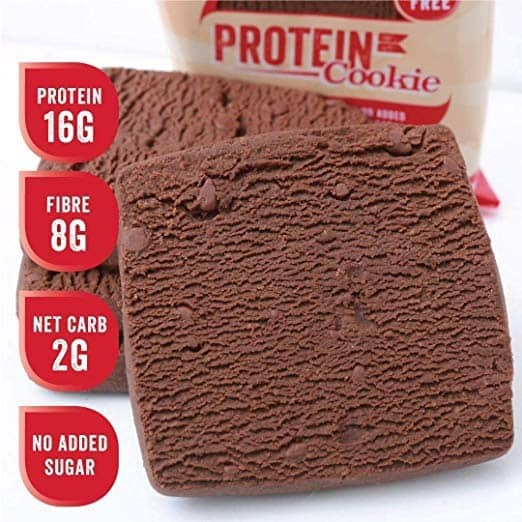 A pretty awesome low carb dessert to buy that has 20 grams of protein and only 1 gram of sugar. Low carb rum balls make the perfect holiday treat, you won’t have to worry about missing sugary treats around the holidays when you have rum balls to buy. What’s even better yet, is that your friends and family will think you spent countless hours in your kitchen to make these! Only 1 net carb each! 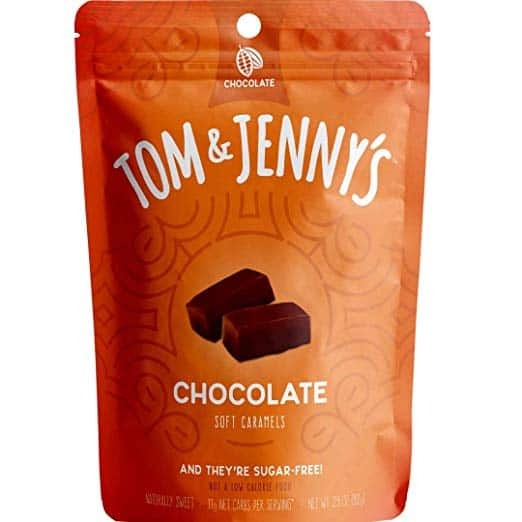 Tom and Jenny’s low carb candy comes in 10 different flavors! They DO sell out super fast, as some of the varieties have 0 NET carbs after you subtract the sugar alcohol. These simple caramels make a fantastic dessert choice when you’re looking for a keto dessert to buy. Just one or two little pieces is all you need to satisfy your sweet tooth. You can find them in classics caramel, chocolate, ginger, coffee or spiced rum. I’m a classic sort of girl, what kind of caramel are you craving? These yummy little lemon coconut keto store bought gems are low carb, gluten free and paleo friendly! Notty Foods makes this delicious low carb, sugar free and gluten free bark, what’s even better is that it comes in 3 different flavors! 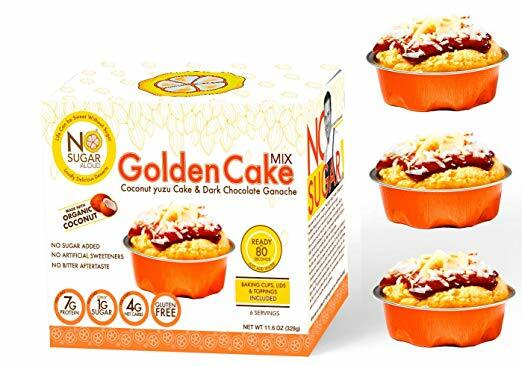 This is another fancy option that your friends won’t believe it when you tell them these are store bought low carb desserts. And make sure to check out the glowing reviews below!! These low carb chocolate fudge cookies not only come in decadent fudge flavor, you can also buy them in chocolate chip and peanut butter. These decadent keto store bought cookies only have 2 net carbs per serving! 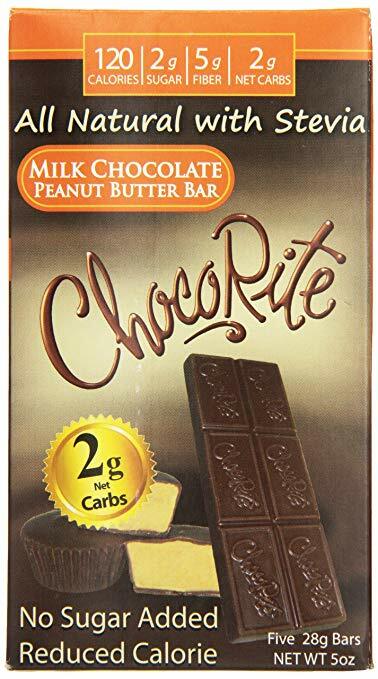 Sometimes you just want a classic chocolate bar to snack on for dessert, in those situations having a yummy store bought keto dessert like a peanut butter milk chocolate bars sweetened with Stevia will be a perfect choice. Only 2 net carbs per serving! If you aren’t an M&M lover, here’s a low carb caramel chocolate nut bar by Atkins you’ll definitely love. These only have 3 net carbs each and they’re also considered the #1 top seller in weightloss bars! 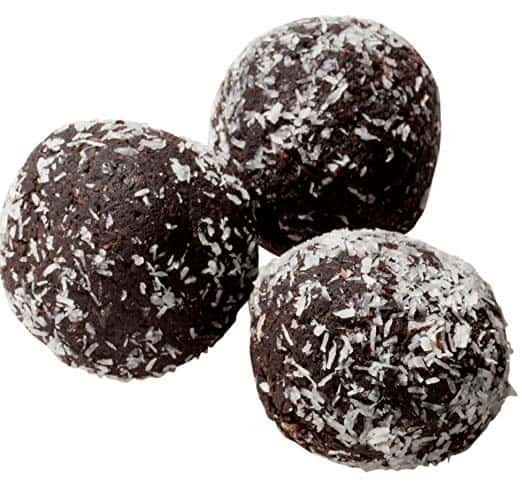 When you’re looking for a decadent low carb or sugar free dessert and it needs to be EXTRA special, you’ll LOVE these 5 star rated low carb truffles! These would also make the perfect gift for someone you know on a Ketogenic Diet, or that can’t have sugar. 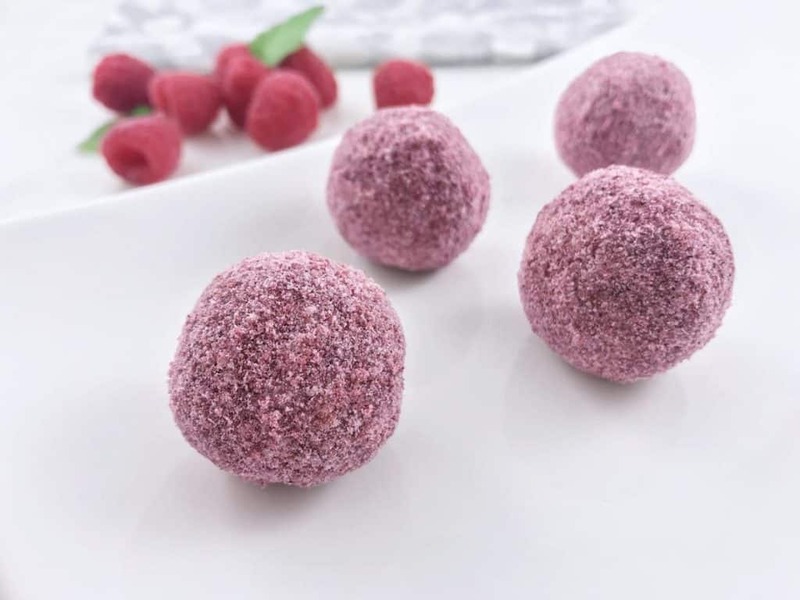 They have a wide variety of flavors if you’d prefer something other than the low carb raspberry truffles. Another Atkins treat that makes cutting carbs so much easier. 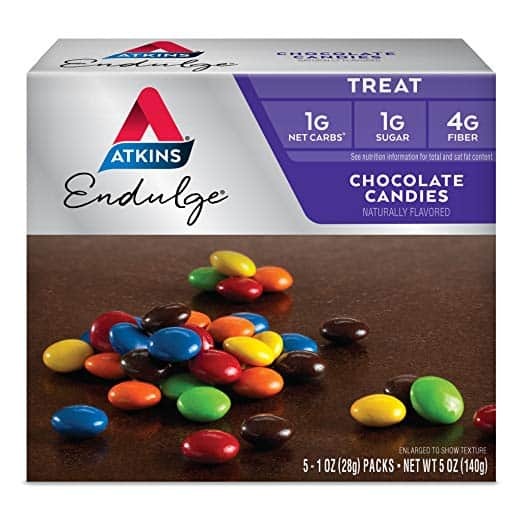 These low carb chocolate candies by Atkins are best thing next to M&M’s and only have 1 net carb per serving. You might be able to find the Atkins line in national grocery stores, Walmart, Target or larger pharmacies. These fantastic low carb dessert to buy is surely something you’ll want in every flavor! 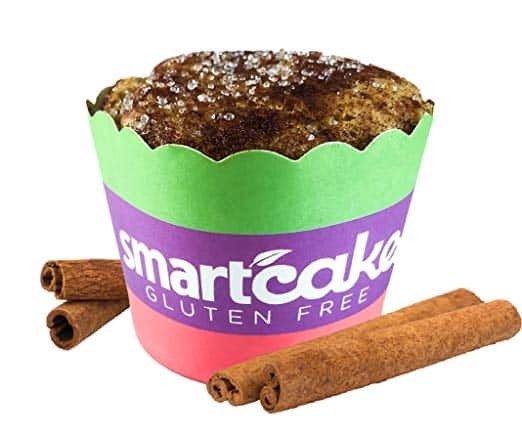 These highly rated protein snack cakes come in red velvet, chocolate, and birthday cake. 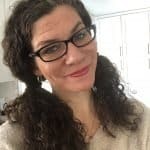 You’ll be surprised to learn you can ORDER specialty low carb, gluten free and paleo desserts ONLINE when you want something store bought and aren’t up for making a cake or dessert yourself. These are fantastic speciality dessert options when you need something amazing for a special event like a birthday, anniversary, party, Valentines or during the holidays. 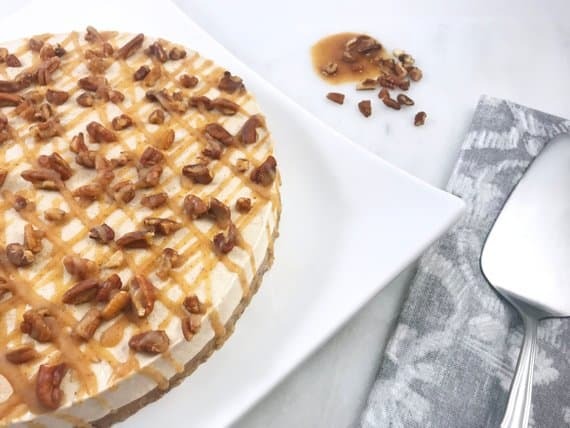 These are 5 star rated cheesecakes that not only come in salted caramel pecan, but you can also order them in key lime, pumpkin, strawberry cream, mocha hazelnut, and MORE! For those times you want a semi-homemade treat but don’t want to start from scratch, this low carb chocolate brownie bars will be exactly the right thing to have on hand. These are nut free and also come in blondie flavor if you’d prefer a variety of mixes to try. Another mix idea you’ll surely love are for these carb doughnuts that are a store bought sugar free and keto friendly mix. Each doughnut has only 2 net carbs and make the perfect keto sweet treat or breakfast on the go. If you’d love to know what type of low carb desserts you can buy locally like at your closest Walmart store, then you’ll definitely want to check out Countless of Low Carb’s entertaining video! Be sure to check out our post with yummy Low carb candy you can buy at the store!